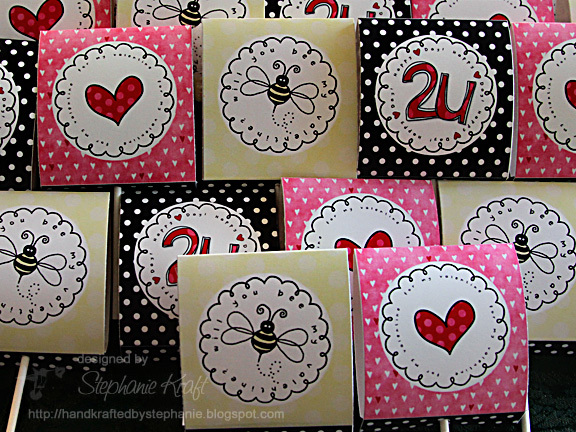 HandKrafted by Stephanie: Happy Valentine's Day! Hello! Happy Hearts Day! 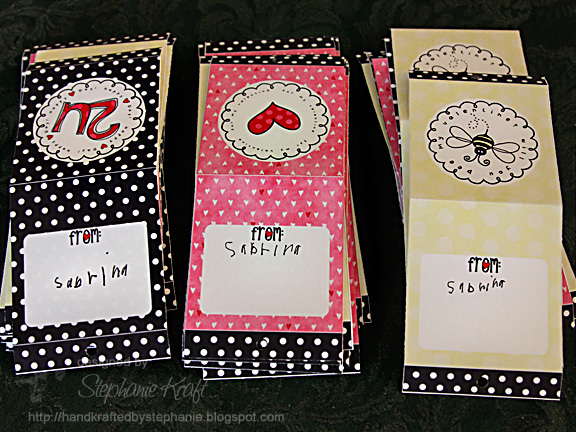 I'm just popping in with a few photos of the Valentine's gifts that Sabrina handed out to her friends and teachers. 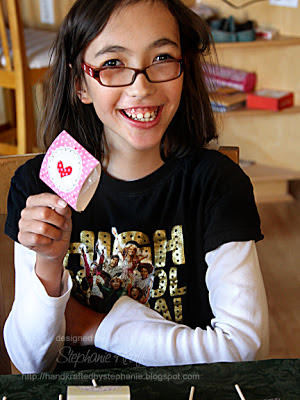 This year she passed out heart suckers to her classmates. I wasn't sure they were doing a Valentine's exchange, but I had bought the suckers just in case. I ended up printing out some free printables that I found here. Her party was moved up a day, so she ended up having to sign them all in one afternoon (quite a challenge for my girl who struggles with fine motor skills). She did a great job on all 32! She was so proud (and relieved) when she was finished! 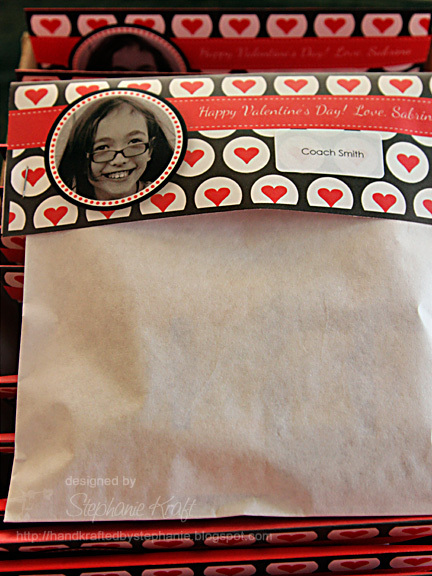 For her teachers, paras, therapists and the office staff, I put some Ghiradelli chocolate squares into some bakery bags and added a sandwich bag tag on the top. I used a free Photoshop template from I Heart Faces, changed the text, added a photo and printed these up. Thanks so much for stopping by! I hope you have a wonderful day! I love the adorable valentines and the gifts are too cute!! Good job, Sabrina!! Miss that sweet girl!! What a sweet collection of projects Stephanie and beautiful photo of Sabrina! I love how you personalized them!